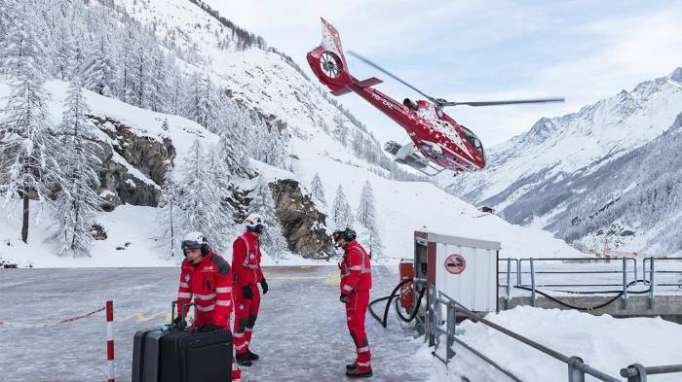 Two skiers who were caught in an avalanche in Switzerland near the border with France have been rescued with only minor injuries, police in the canton of Valais said on Sunday. The police initially reported that 10 people were missing but revised that down to two, saying a member of the group who called in the accident was unaware most of the group were safe. A police spokesman also said the group were on touring skis, which can be used to climb and descend slopes, not hiking. The avalanche took place at an altitude of 2,500 metres in an area called the Col de Fenestral. An avalanche swept away two skiers, a man and his 11-year old daughter, in the French Alps on Sunday.